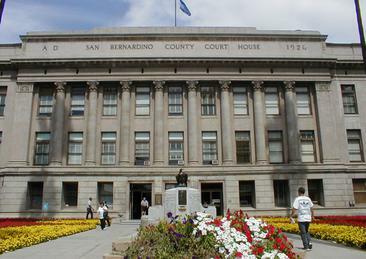 I began my career in the legal field as the administrator of a small law office in San Bernardino CA in 2009. I learned many of the court forms, court filing procedures, serving court documents and how clients should prepare for court. I covered family law such as divorce, custody, visitation, support, name change, restraining orders, property division, landlord and tenant disputes and bankruptcy law. I also do Immigration, civil and small claims. It is sad to see so many people turned away simply because they could not afford a lawyer. I decided to earn my paralegal certificate at Inland Valley College of Law in 2010 and opened my own paralegal office in 2011 with the goal of helping people who could not afford an attorney and want to represent themselves and needed their court documents completed and filed correctly at their direction. Although I am not an attorney and I do not dispense legal advise, I have a passion for assisting women who are victims of violence or seeking restraining orders. This service is important to me as I am an active board member of Sober Living Transitional Housing in Redlands, CA. Because I am a part of sober living I offer discounts on expungement (cleaning criminal record) and services for recovering addicts and alcoholics. I offer special discounts for battered woman and those on the path or sobriety and recovery. I also provide bankruptcy, civil court and small claims services. Am I any good? I have successfully completed over 400 cases, 400 happy clients and zero complaints. My consultation is free and so is my parking so give me a call and let's see what I can do for you. My name is Paloma Rodirguez, Certified Paralegal and I want you to call me about your legal document service and with any court document questions at (909) 546-4334.